I thought it might be useful to create a resource page that you can always visit for your path to P.Eng. or P.Geo. needs. 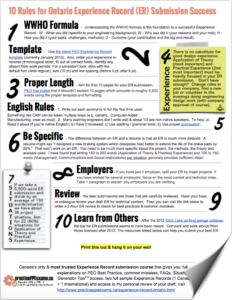 Here you will find access to some of my best tools, cheat sheets and resources. I'll keep adding to this page as more resources are developed. I recommend bookmarking it for your reference and convenience. Enjoy! 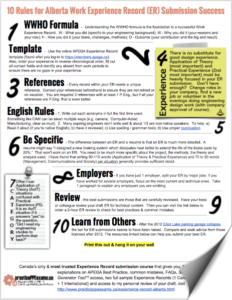 Where should I send your free NPPE Cheat Sheet? You'll also receive a few lessons from my course. 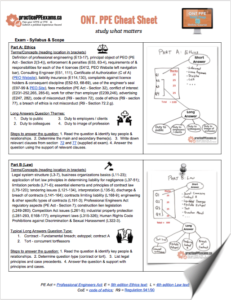 Where should I send your free ONT PPE Cheat Sheet? You'll also receive a few lessons from my course. 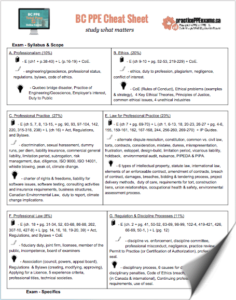 Where should I send your free BC PPE Cheat Sheet? You'll also receive a few lessons from my course. 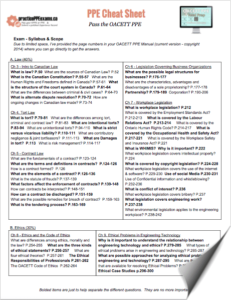 Where should I send your free SK PPE Cheat Sheet? You'll also receive a few lessons from my course. 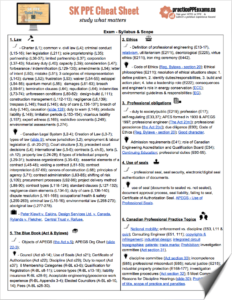 Where should I send your free OACETT PPE Cheat Sheet? You'll also receive my monthly Canadian engineering news update. Below, is the software I developed for you to help you with when you write your experience summary for your Association. These tools took several months to develop, so I hope you enjoy them! 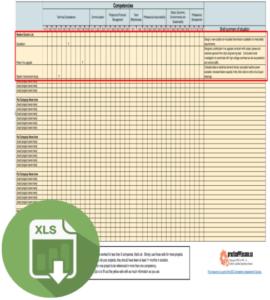 Where should I send your free Experience Record Cheat Sheet? You'll also receive a few lessons from my course. 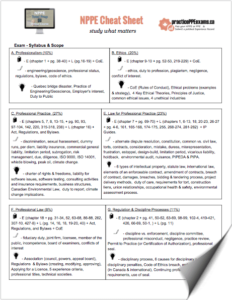 Where should I send your free Competency Brainstorming tool? You'll also be kept up to date with my monthly Canadian Engineering Newsletter.